Antoni Dobrowolski, who was a teacher that gave lessons in defiance of his native Poland's Nazi occupiers, passed away on Sunday. He died in the northwestern Polish town of Debno, according to Jaroslaw Mensfelt, a spokesman at the Auschwitz-Birkenau state museum. Dobrowolski will be remembered for being a key person in an underground movement in Poland during World War II, which sought to teach Polish children about their heritage, as a way to fight against Nazi oppression. The Germans invaded Poland in 1939, and event which sparked World War II. With that invasion the Nazis banned anything beyond four years of elementary education. The Germans sought to eradicate all evidence of Polish traditional culture, and the country's intelligentsia. Adolf Hitler and the Nazis thought of the Poles as an inferior race, and they implemented a new education system that would attempt to wipe out all of Poland's own traditional culture and values. The education policy was part of a plan to use the Polish natives as a race of slaves. Antoni Dobrowolski was one of those Poles that attempted to fight back against the oppressive regime, and he was part of a movement to teach children using Poland's own traditional education system. However, those who were caught doing so were sent to concentration camps. Antoni Dobrowolski was one of those who was caught and arrested by the Gestapo. In 1942 he was sent to the infamous Auschwitz concentration camp. He was also later moved on to other concentration camps; Gross-Rosen and then Sachsenhausen. Dobrowolski was finally liberated in the spring of 1945 when World War II came to an end. He was in Sachsenhausen when he was finally given back his freedom. 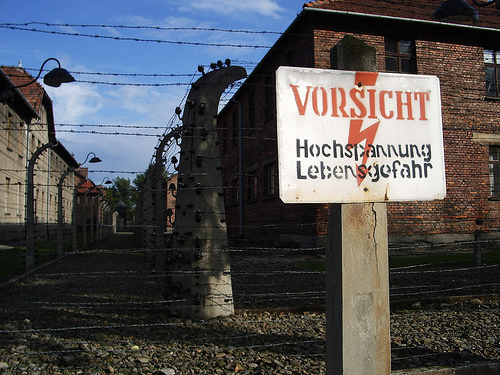 It is believed that more than 1.1 million people were killed by the Nazis at Auschwitz-Birkenau, although it is impossible to record an exact figure of all those slaughtered in the the most infamous concentration camp.